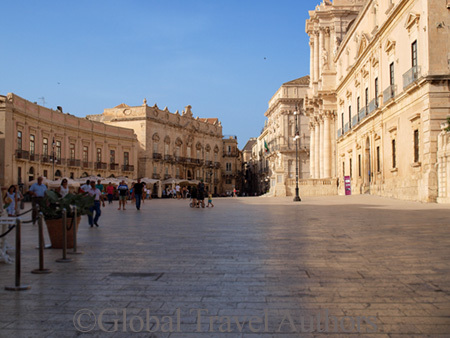 Why travel here: Siracusa is truly a summation of Sicilian splendor, and if there is one city in Sicily that personifies this magnificent island it is Siracusa. The city is 3,000 years in the making and combines Greek and Roman civilizations with ancient Jewish culture and baroque masterpieces. Great history of Western civilization: Founded in 734 BC by Greeks from Corinth, Siracusa grew to become a city larger than Corinth and Athens, turning into a capital of Magna Crecia. It became an intellectual magnet that attracted the best brain power of the ancient world: from Aeschylus and Pindar of theater and poetry to Archimedes in mathematics and physics. The Romans invaded Siracusa in 211 BC, killing Archimedes and the city’s splendor along with him. 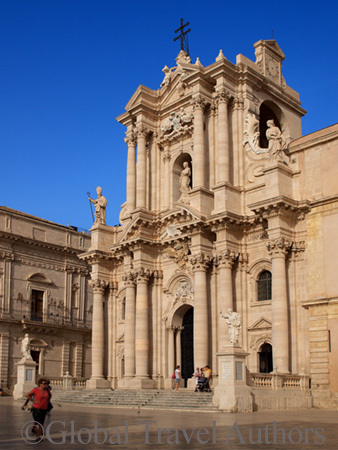 Even though Siracusa remained the capital of Sicily under the Romans, its glory days were gone. When it was taken over by the Saracens Arabs, Siracusa was reduced to a fortified town. 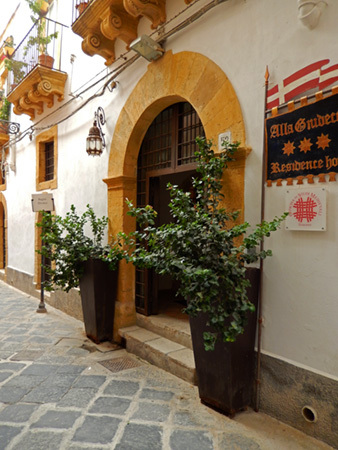 The 17th century earthquake served as a catalyst for the city’s renewal, and beautiful baroque buildings and squares came into being. Today, a visitor comes to Siracusa enticed by its two main attractions: a tangled maze of historic alleyways and squares of the Ortygia peninsula, and the world-renowned Greek Archeological Park of Neapolis. For the Jewish history pilgrim, Siracusa has a recently-discovered Miqwe (Jewish ritual bath), the oldest in Europe. 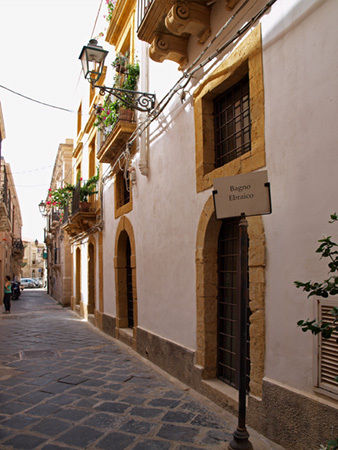 It is also the city where one can visit the first synagogue and the first Rabbi in modern Sicily, 522 years after the Edict of Expulsion. First and foremost: Piazza del Duomo. While admiring this masterpiece in baroque city planning and its beautiful cathedral, note the huge Doric columns inside and outside the building. Behind the baroque façade added by Andrea Palma in the 17th century, what you encounter is nothing less than an amalgamation of Sicilian history: Byzantine apes, Norman font, mediaeval ceiling, and most importantly, the great Greek Temple of Athena Minerva of the 5th century BC. Praised by the philosopher Cicero, who saw the Temple in the 1st century BC, this ancient Greek masterpiece is alive and well, and manifests itself to the world, safely embraced inside the cathedral. In Sicily and in Siracusa, the past had never been erased but accepted and lovingly accommodated with tact and sensitivity. 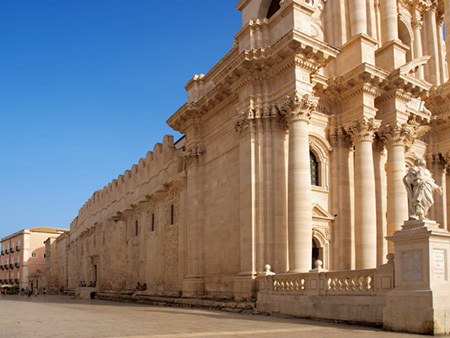 As a perceptive traveler, you will see the Cathedral of Siracusa as a real Ark of human covenant. Caravaggio fans: Do not miss the small church Chiesa di Santa Lucia alla Badia at the southern end of the Piazza del Duomo, where the Burial of Santa Lucia by Caravaggio is displayed. 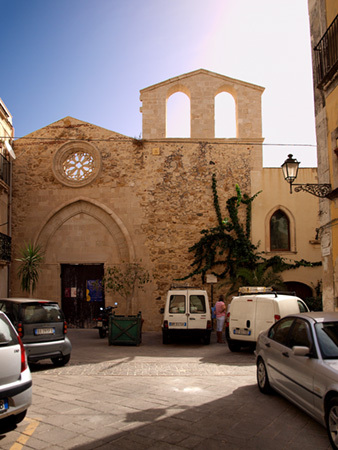 Also, while strolling along the medieval Ortygia streets in its Judaic district, discover the church San Giovanello (St. John the Baptist), which used to be a synagogue. To the immediate right of the church is the house where Mario Minniti lived. A native of Siracusa, Mario was a painter, a friend, a follower, and perhaps, a sometime lover of Caravaggio, who he met while living in Rome. Mario was probably instrumental in helping a fugitive Caravaggio to secure the Santa Lucia commission. You know Mario Minniti’s face from Caravaggio’s Bacchus in the Uffizi and the Vatican, his Lute Player in the Hermitage, and from the Fortune Teller in the Capitoline Museums of Rome. Jewish history seekers and history lovers: Via Alagona is one of the most picturesque medieval streets in the old Jewish neighborhood called Giudecca. There in the Alla Giudecca Hotel, you have a rare treat: an ancient Jewish ritual bath or Miqwe that is located 20 meters beneath the street level. 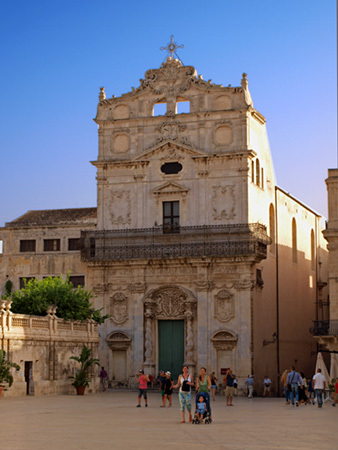 To see the contemporary synagogue, you have to leave the Ortygia peninsula and take a cab or drive about twenty minutes north into the Siracusa proper. 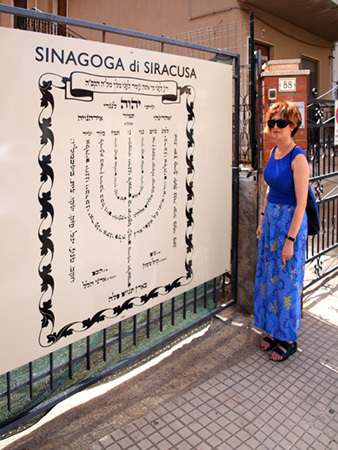 Centro Sefardico Synagogue is located on Via Italia 88, near the Tribumanle Nuovo. 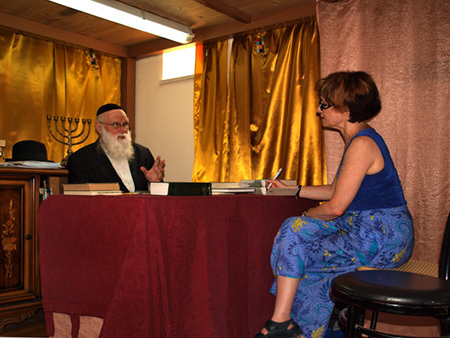 To meet the rabbi Rav di Mauro, call him at 340-81-7434 or email at centrosefardicosiciliano@gmail.com. Tell him that you were referred by his friend Irene Shaland, the travel writer. 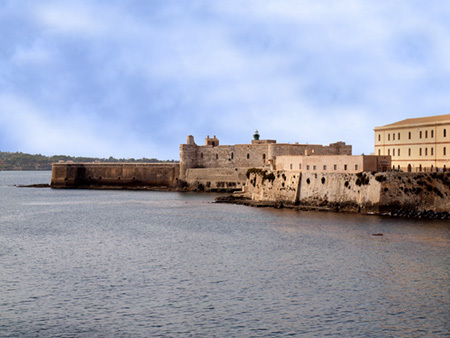 Castle and fortress lovers: The fourth not-to-be-missed site in Ortygia is an often overlooked Castelo Maniace. Marking the southern tip of the Ortygia peninsula, this massive fortress was built by the Swabian Emperor Frederick II in the 13th century. 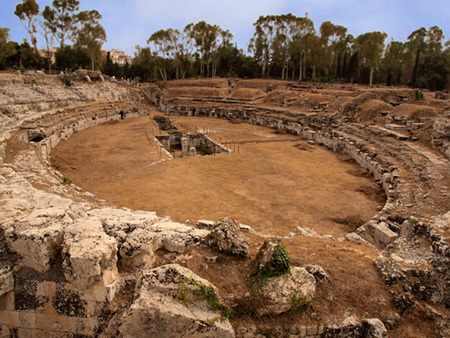 Siracusa in Greek and Roman times — Parco Archeologico della Neapolis: Even if you are not a Classicist, this is a unique destination. Siracusa is the only place in the world where you can compare and understand Greek and Roman mentality side by side when you see Teatro Greco and Anfiteatro Romano one next to another. This is I think our good luck to have the Greek and the Roman worlds separated by several centuries but located few steps away in the Siracusa Archeological Park. Anfiteatro Romano is oval in shape and represents a closed space where everything is designed for the human eye: spectacles, sports of blood, to be seen and enjoyed by everyone. Cages with wild animals were placed all around the oval and the gladiator had to open one and fight whatever jumped out of the cage. 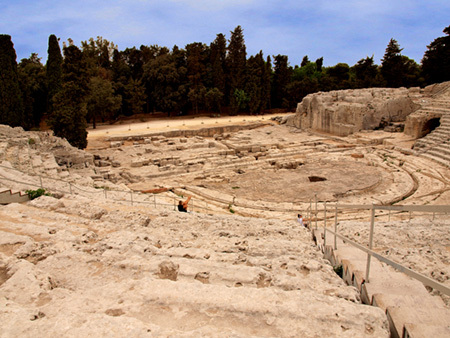 Teatro Greco was cut out of the rock above the city in the 5th century BC. This is where Aeschylus staged his dramas. The Teatro’s architecture tells us about its builders and its audience: the theater is open wide with nature as its only backdrop. The acoustics are incredible: this is where theater was understood as an intellectual, almost religious event. Only in Siracusa the Greek intellectual world of Aeschylus and his Gods coexists with the Roman bread-and-circus killing spectacles. When you visit Siracusa, go to the Archeological park and take a few minutes to ponder the meaning of these two civilizations, their rise and fall, and their contributions to our own contemporary outlook on intelligence, art, and war.